Review Summary: It’s not more of the same, but you’d be forgiven if you thought it was. Let me start this review by saying how strange I find it that The Field’s debut LP was the highest rated album on Metacritic for the entire 2007 calendar year, and yet he is still a significantly low-key recording artist. When I attended one of his recent shows in New York City – fantastic though it was – there were scarcely fifty people in the crowd by the end of it. And this in a city with a population of over eight million! Needless to say, I was disappointed in this turnout. And while I’m certainly aware of how repetitive The Field’s music is, I just don’t see how anyone could ever be bored by it. The astounding tension it creates between the listener and the music is unlike anything you can experience from any other artist. Listeners – even critics – seem keen on the idea that Axel Willner is a one-trick pony. A guy with his own aesthetic, sure, but perhaps too stubborn to allow himself to grow and develop his sound between albums. He simply demands too much patience from his audience, no"
The Field’s uncanny ability to contort samples into soundscapes that contain entire universes was already in full display on From Here We Go Sublime. But how do you progress from an album like that" After you’ve already figured out how to create gargantuan monoliths from nothing but sticky tack, pebbles, and elbow grease" Do you simplify even further and risk a critical backlash accusing you of moving backwards" Or do you ratchet up the complexity and risk alienating your entire fanbase" Well, these pressures did not even seem to occur to Willner because his response was simply to create better music. With a little more attention paid to his textures, Willner was able to find sounds that he could loop for even LONGER than on Sublime because they stayed interesting and exciting for unbelievably long durations. Basically, what he accomplished was both simplifying AND developing his aesthetic. Structurally, the songs repeat the same phrases far more often than on From Here We Go Sublime, but the phrases themselves are vastly more layered and satisfying. Synthesizers, samples, and live instruments weave in and out of each other in ways that all but the most attentive listener are sure to miss. I think for most people, the biggest hurdle to jump over on Yesterday & Today is its pacing. Beginning with I Have The Moon, You Have The Internet, which is essentially nothing more than an 8-minute long intro, and then immediately curve balling into a lethargic cover of James Warren’s Everybody’s Got To Learn Sometimes was perhaps not the best way to go about introducing your audience to the follow-up of your white-hot, critically-lauded debut. But, dammit, within the first few bars of the album’s third track it becomes immediately apparent that the previous fifteen minutes were just leading up to the album proper, and it’s hard to fault Willner for giving you a few palate-cleansing appetizers before diving into the next four sumptuous courses of the buffet he has in store for you. Leave It is one of Willner’s most immediate tracks; it instantly comes rushing forward with heavy-breath synths, a quick tempo, rhythmically abstruse chimes, and The Field’s ever-present bass thump. As the track develops with the introduction of an immaculately polished bass line and euphoric sample distortions, all doubt is immediately cast aside. This is music of confidence. This is music that is sure of its own worth. The title track is even better. Candy-coated tom hits and syrupy synth textures tantalize for the first few minutes before musical nirvana sets in with an array of gorgeous vocal manipulations. If you’re not bobbing your head when John Stanier’s intense drumming sets in for the final third and begins a sort of duet with the chopped groove of the bass line, you probably need to get your hearing checked. Then there’s The More I Do, which introduces the meatiest textures on the entire album. Bursting with raw emotion and mysterious atmosphere, the song electrifies your ears like a sour piece of candy does your tongue. You can dance to it sure, but it’s more fun to try and wrap your head around what the hell it is that you’re actually hearing. Where are these sounds coming from" Then before you know it, eight and a half minutes have gone by and the song is over. Closing the album is Sequenced, Willner’s closest thing to an epic so far in his career. Clocking in at right around sixteen minutes and not wasting a single beat, it provides an excellent sense of closure to the album with a fairly traditional build-up of tension and release. Simultaneously developing in both 3/4 and 4/4 times (at least in my head), it offers something different enough from the rest of the album to remain highly memorable, if only due to its length. So, there you have it. 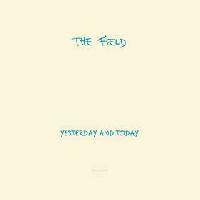 The much less applauded sophomore release by The Field analyzed and deconstructed however subjectively by a devoted listener of electronic music. I won’t pretend that the album is some sort of misunderstood masterpiece that only the chosen few with the golden ears can appreciate, but Yesterday & Today did get unjustly overlooked due to its surface-level similarities to From Here We Go Sublime. But the myriad ways it actually improved on the formula that made Sublime so compelling in the first place deserve reassessment by those who consider themselves avid fans of House and Techno music. I need to listen to this more. Sublime took forever to click so I should give this its due. Oh and loving the review. haha - i almost went to le poisson rouge to see him also, but i had just seen them (him + band?) play the tail end of a set in brooklyn. "Leave It" is tremendous. Review is mostly right that this is great. haha word immersed - hit me up on fb (i'm easy to find) or shoot me an email at ferociouslettuce@gmail.com . This is quality as well. I might just go through the rest of his discog tonight! Nah a 4 still means I love it.